#DigitalIndia, a mere illusion or a reality? Post Independence, India has seen many revolutions in every industry segment. The inception of globalization enhanced the probability further of connecting India with the entire world and placing India among the rapidly developing nations. With the advent of Social Media since past 10+ years, staying connected digitally is becoming a need after all as far as today's times are concerned. The benefits can be categorized according to different areas of a person's life. At personal level, he/she can stay connected to their friends and family members no matter wherever he or she goes in the world. At other point, many people have found their life partners through social media as well. For HR professionals, it has become a lot easier to stay connected with the potential as well as existing employees revolutionizing the job industry as well. Moreover, they can very well filter out the employees based on right skills needed for the job at hand. One can be fully aware about what important is going on in their connections' life. Now a husband would not forget his wife's birthday unless its hidden of course. :) Even the crowds on the ticket counters would be reduced to minimum with such great use of technology. For the Travel industry, it has become a lot easier to book flights, trains, hotels, buses to the destinations which were not even explored earlier. For healthcare sector, now you can even view your health reports online, track your progress online and can generate a report in a lot easier way. The visionis a very huge reperesentation of our respected PM Shri. Narendra Modi as the vision is not only limited to connecting India to Indians but to the world which in itself can be a daunting thing as it will require huge investments and infrastructure to be laid for the #DigitalIndia mission to become a reality. This has been made possible by the very nice approach of Government and Private sectors work for it combined together. The famous PPP model (Public and Private Partnership model) which will involve innovation, capital, utilization of existing as well as future infrastructure and thus making it a reality. Now, let us explore the obstacles or the challenges which would be faced to successfully accomplish this dream. Being a conservative nation, Indians still are not that much open to the technology and the benefits of it. I agree that it has bad side as well but everything has a good side and a bad side. Google has launched several programs to increase the awareness about it. Infrastructure needs are tremendous if the mission needs to see the reality. It includes the speeds at which Indians surf the internet on an average as compared to other nations. According to the latest article in Times of India, the average speed of internet in India is 2 Mbps whereas Koreans surf at 22 Mbps leaving a big room for improvement in this segment. You can read the complete article here. Even my personal experience when I visited Hong Kong recently in January the easy availability of internet via Wi-Fi zones is not only the thing which is something great but the speed of browsing is something to praise, too. This is something everyone is concerned about. Staying connected 24 hours a day for 365 days a year is not cheap for the Indians' pocket. What the companies do? They simply mould the plan accordingly and offer lucrative plans for the users but still a portion of the population still using internet is not willing to pay higher prices for higher speeds. The point, they stick with lower speed plans. The plans are divided on usage as well as demographic interests of people. 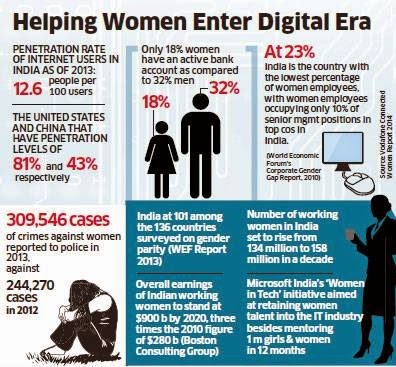 The income also has an effect on the use of internet among Indian population. Insecurity is there among people particularly when government agencies are monitoring their online activities. The recent survey has revealed that a whopping 76 percent Indians have shown concerns regarding this issue. The full article you can review here. Also, with frauds creeping in, many people still hesitate using online means for handling their money and transacting online. More and more people get aware about the use of internet and its benefits with robust security measures, more easy it would be to eliminate the above obstacles making #DigitalIndia mission a reality. It may seem difficult but it's not impossible. It can take some time, however. 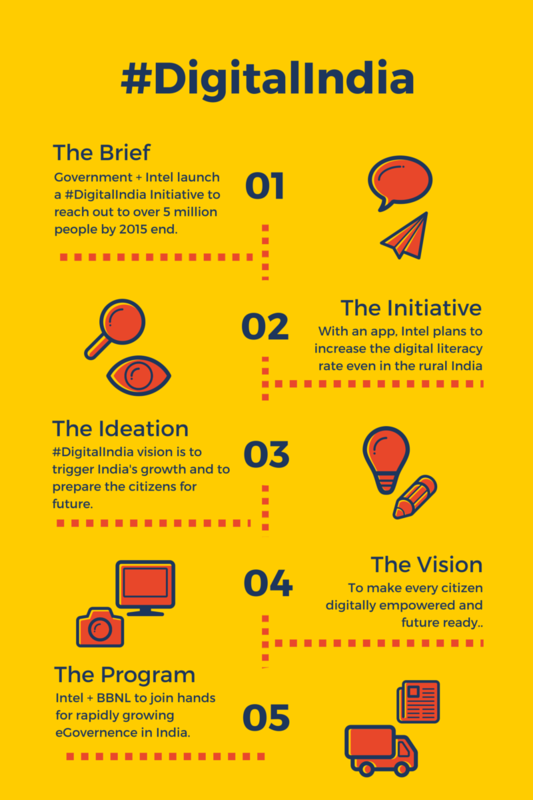 Keeping these factors in mind and the Digital India mission of the Government of India in collaboration with Intel has opened up a new ray of hope in making India Digitally connected not only across India but on a global level. In my opinion, it's really a great initiative and it could make India a globally competing nation. It will see a rise to foreign investments as well as it would be a great boom to tourism industry in India. Intel has even started a program in the name of "Digital Skills for India Program" to train 5 million by 2015-end. you can read the full article here. 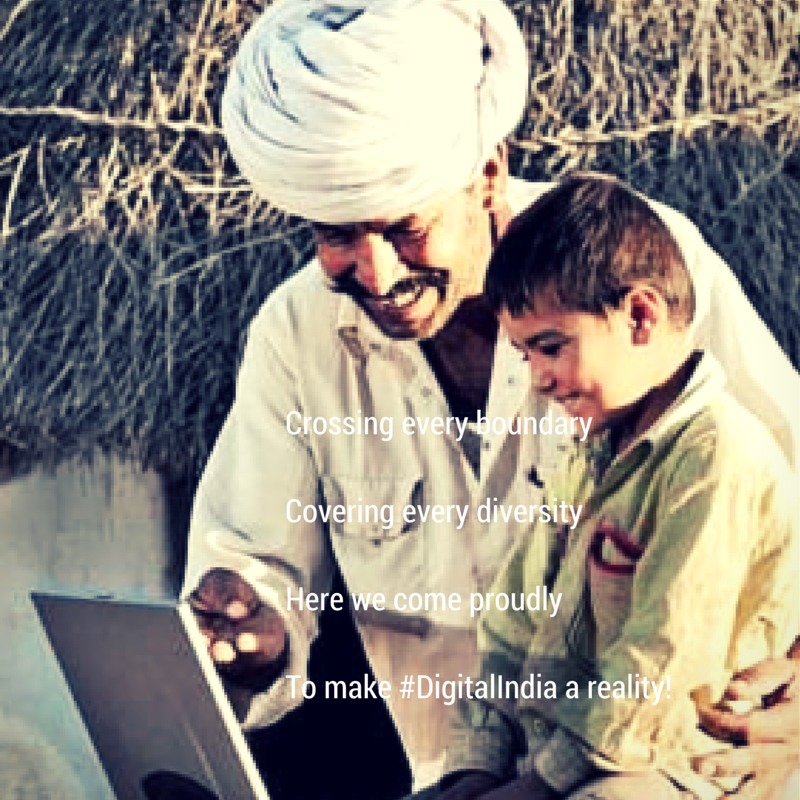 To make #DigitalIndia a reality! This post is written for the Topic hosted by Indiblogger and Intel. Disclaimer: The views expressed are author's own.